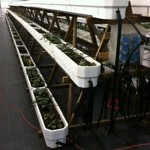 The infrared heating ribbons can be perfectly applied in cultivation trays and (insulated) cultivation tables. The depth of the heating ribbons and the required temperature are matched with the crop. 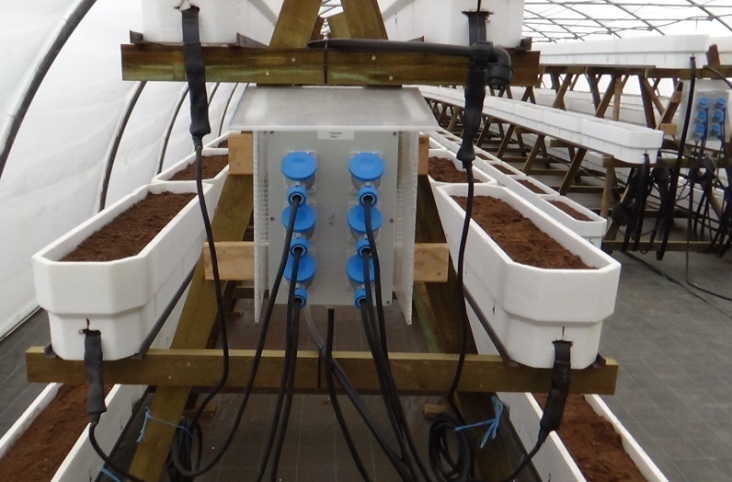 System operation is done automatically via temperature sensors or manually (remote control) in case the grower/farmer decides when to (dis)engage the heating system. The temperature sensors are displaceable in order to adjust the heat emission to the soil or environmental temperature. 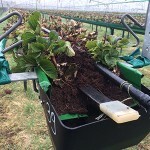 Research by PPO of the Wageningen University has shown that the application of ribbon heating below the maternal plants enables cultivation of more marketable plants per hectare. It is also possible to obtain plants with a good rhizome diameter at an earlier stage. The styrofoam trays of this pyramid are each provided with one heating ribbon.